Due to the rapid development of communication networks, the number of smart phone users in China has grown /increased at an amazing rate / amazingly in recent years. This has dramatically changed the reading way of many people. They now often read news and articles on their smart phones instead of buying traditional newspapers and periodicals. The development of a large number of mobile applications enables people to read novels and literary works of other forms on their mobile phones. Therefore, the sale of paper books has been affected. But surveys show that although the mobile phone reading market grows steadily(despite the steady growth of the mobile phone reading market), more than half of adults still like to read paper books/enjoy reading paper books. Due to the rapid development of communication networks, the number of smartphone users in China has grown /increased at an alarming rate / alarmingly in recent years. They now often read news and articles on their smartphones instead of buying traditional newspapers and periodicals. 受到了影响 被动句的用法 = 纸质书籍的销售被影响 (时态上理解是现在完成时的被动) has been affected. Therefore, the sale of paper books has been affected. 喜欢纸质书的表述 like to read paper books/enjoy reading paper books. more than half of adults still like to read paper books/enjoy reading paper books. In the past few years, the mobile payment market has flourished in China. With the advent of the mobile Internet, mobile shopping has gradually become a trend. Young people aged between 18 and 30 constitute the largest group in the mobile payment market. (Young people between the ages of 18 and 30 make up the largest segment of the mobile payment market. )Since it is extremely easy to pay by mobile phone now, many consumers prefer to pay by mobile phone when shopping, rather than in cash or by credit cards. (Because it is so easy to pay by mobile now, many consumers would rather pay by mobile phone than in cash or by credit card when shopping. )To encourage people to spend more, many stores offer discounts to customers who use mobile payments. Experts predict that China's mobile payment market still has great potential for development in the future. In the past few years, the mobile payment market has flourished in China. 趋势 trend n. mobile shopping has gradually become a trend. 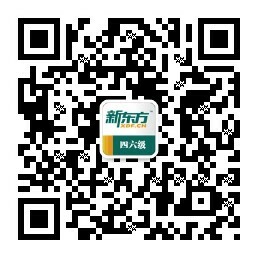 移动支付市场的最大群体 名词修饰名词 前后倒置翻译 the largest group in /of the mobile payment market. 宁愿..而不愿 prefer to/would rather ... rather than ..
many consumers prefer to pay by mobile phone when shopping, rather than in cash or by credit cards. the customers who use mobile payments. To encourage people to spend more, many stores offer discounts to customers who use mobile payments. [主谓宾]China's mobile payment market still has great potentials for development in the future. 【there be 句型】There is great potential of development in China's mobile payment market in future. 【译文】More and more Chinese people actually can't separate from mobile phones. Many of them, including old people, use the mobile apps to stay/keep in touch and broaden their circle of friends. They also use their mobile phones to shop and search for information because they are easy to carry(portable). In addition, communication via mobile apps is cheaper than traditional phones. However, this new trend has led people to rely too much on mobile phones when they socialize. In fact, some young people have become so addicted that they ignore face-to-face communication with family and friends. More and more Chinese people can't separate from mobile phones. Many of them use the mobile apps to stay/keep in touch and broaden their circle of friends. Many of them, including old people, use the mobile apps to stay/keep in touch and broaden their circle of friends. In addition, communication via/by mobile apps is cheaper than traditional phones. I t’s cheaper to communicate by mobile apps than traditional phones. 或对社交进行解释，和别人交流 交往 when theycommunicate/ chat with others. However, this new trend has led people to rely too much on mobile phones when they socialize. they neglect face-to-face communication with family and friends. In fact, some young people have become so addicted that they ignore face-to-face communication with family and friends. In fact, some young people have become so addicted that they seldom communicate with family and friends face to face.